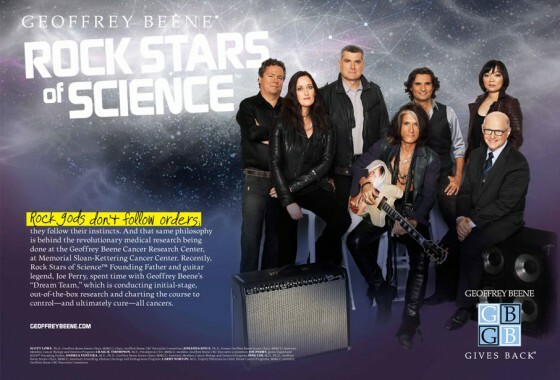 Rock gods don’t follow orders; They follow their instincts. 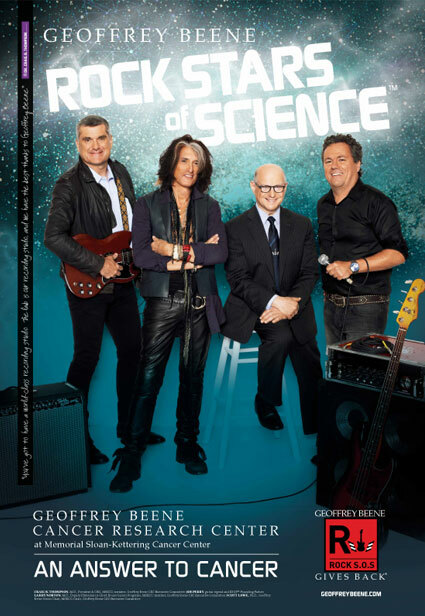 And that same philosophy is behind the revolutionary medical research being done at the Geoffrey Beene Cancer Research Center, at Memorial Sloan-Kettering Cancer Center. 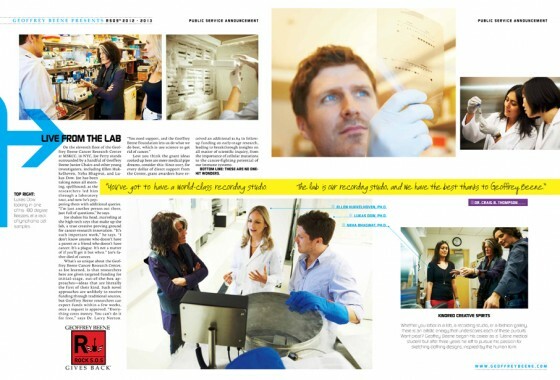 Recently, Rock Stars of Science™ Founding Father, Joe Perry, spent time with Geoffrey Beene’s “Dream Team,” which is conducting initial-stage, out-of-the-box research and charting the course to control-and ultimately cure-all cancers. 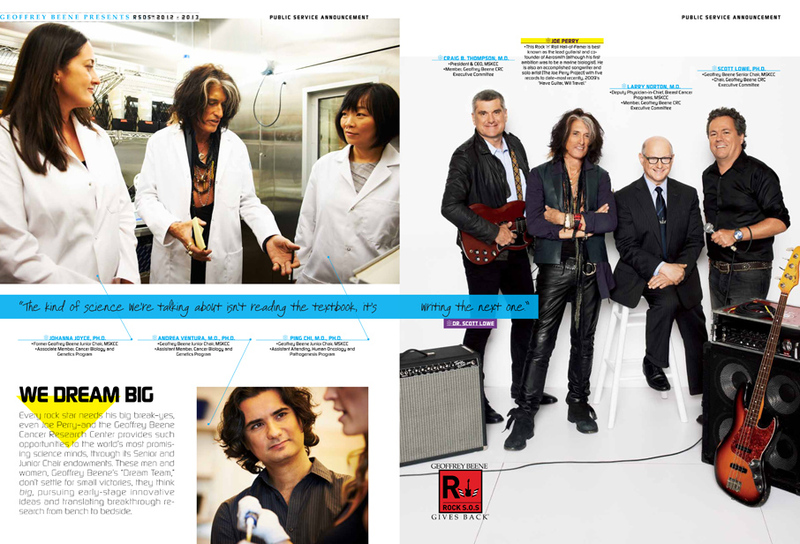 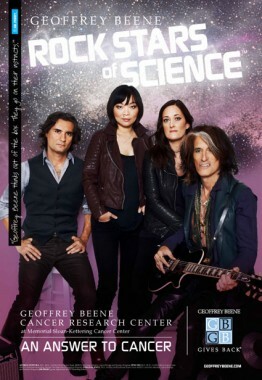 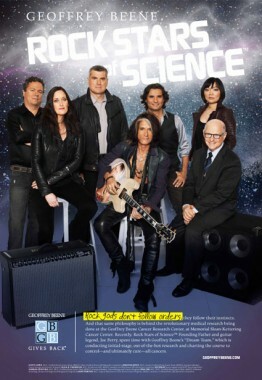 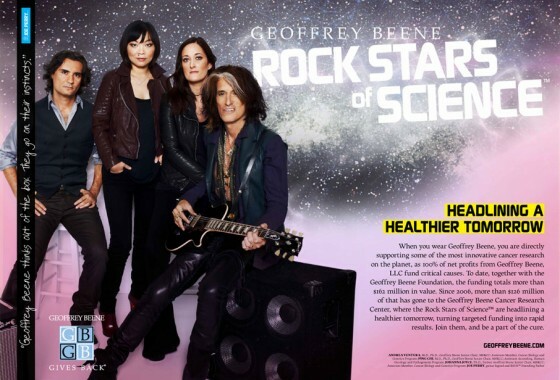 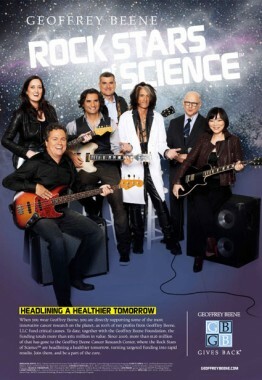 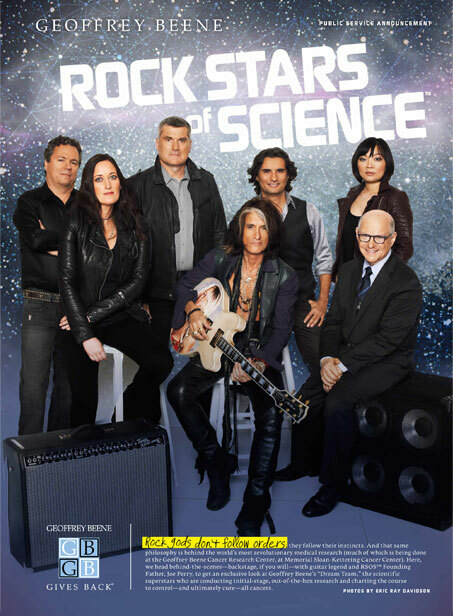 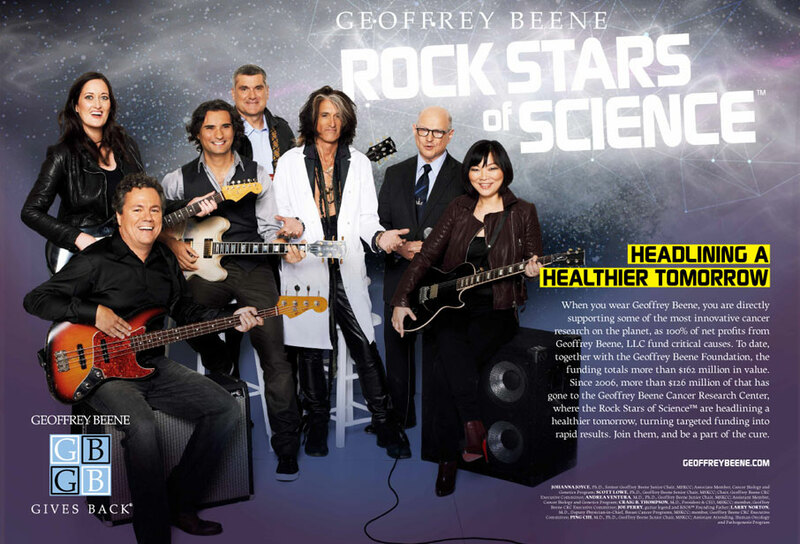 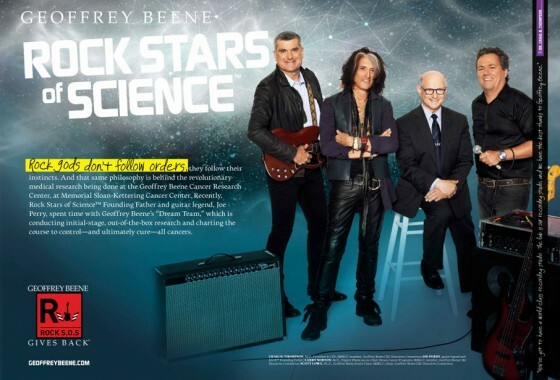 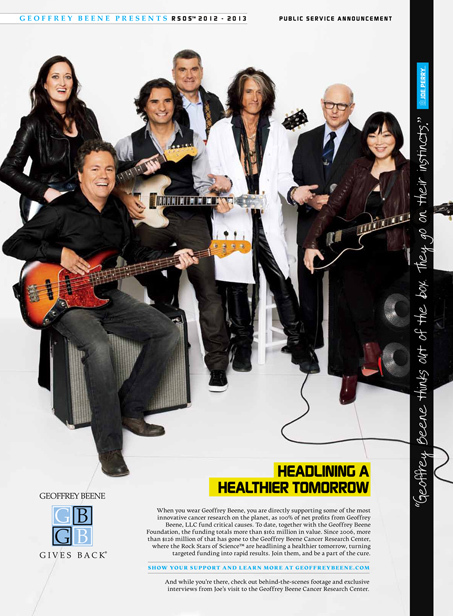 The 2012-2013 RSOS™ campaign, featured in GQ’s blockbuster “Men of the Year” Edition, spotlights Rock Guitar Legend, Joe Perry, Geoffrey Beene’s Rock Stars of Science™ Founding Father and Craig B. Thompson, M.D., President & CEO, MSKCC, Member, Geoffrey Beene CRC Executive Committee; Scott Lowe, Ph.D., Geoffrey Beene Senior Chair, MSKCC, Chair, Geoffrey Beene CRC Executive Committee; Larry Norton, M.D., Deputy Physician-in-Chief, Breast Cancer Programs, MSKCC, Member, Geoffrey Beene CRC Executive Committee; Johanna Joyce, Ph.D., Former Geoffrey Beene Junior Chair, MSKCC, Associate Member, Cancer Biology and Genetics Program; Andrea Ventura, M.D., Ph.D., Geoffrey Beene Junior Chair, MSKCC, Assistant Member, Cancer Biology and Genetics Program; Ping Chi, M.D., Ph.D., Geoffrey Beene Junior Chair, MSKCC, Assistant Attending, Human Oncology and Pathogenesis Program.